Thank you for coming up with names for the textured stitch! 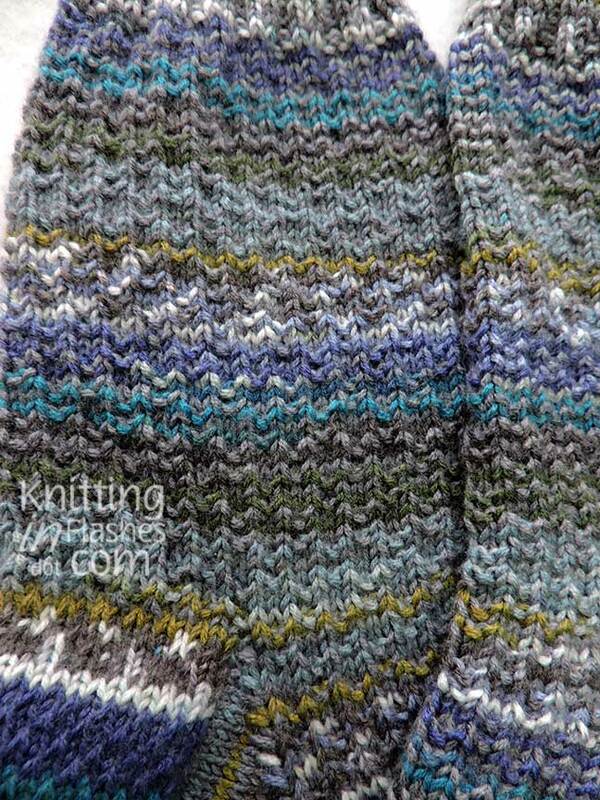 I liked them all and went with stgeorgeknits name for the textured stitch: Double Dot Stitch. Actually, that’s the name I thought of as well. So the socks are finally finished! And will be on their way to the recipient soon. They almost match just like the first pair. Two things I did differently were 1.) Twisted German aka Old Norwegian Cast-on and 2.) 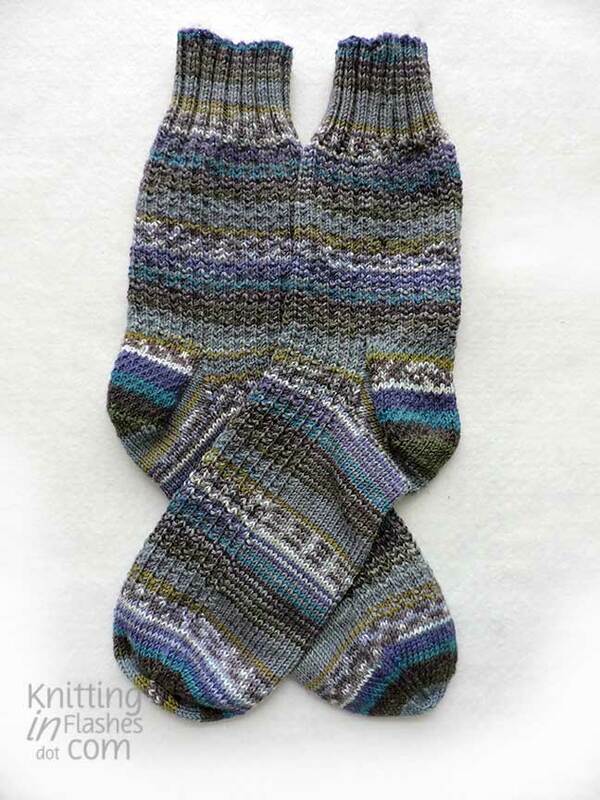 Eye of Partridge heel. The cast-on is very stretchy or at least more so than the longtail cast-on that I usually use. The Eye of Partridge heel is very similar to the “normal” heel flap but I wanted to try it so I did. It looks more sophisticated. So there we have it. The Double Dot Sock. I anyone is interested, I will be happy to write up the pattern. 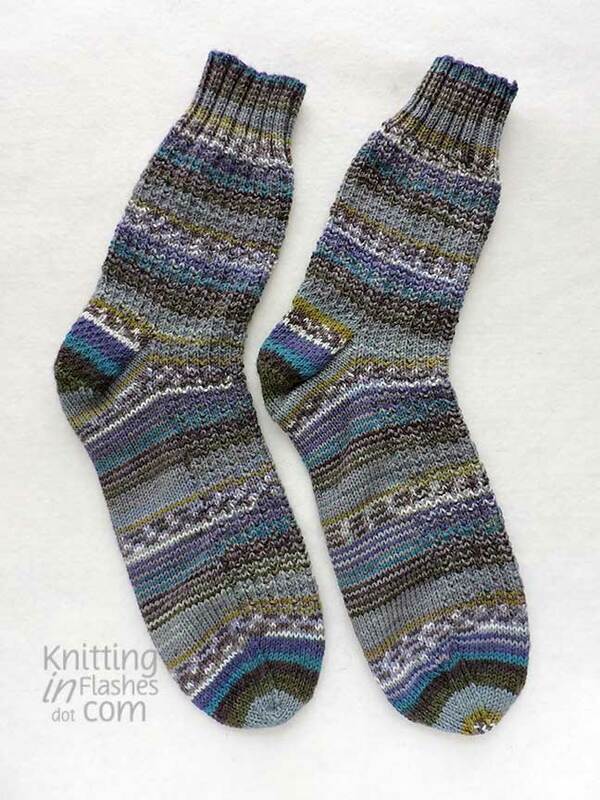 This entry was posted in finished object, finished objects, knit, knitting, knitting pattern, sock, yarn and tagged knit, knitting, pattern, socks by Patti_is_knittinginflashes. Bookmark the permalink. Well, what can I say? Great minds think alike 🙂 The socks look great! Those socks turned out very nice. Wonderful talent!